We make handling your money simple. What’s simpler than no fees, no minimum balance, and cash back? Each time you make a purchase with your VISA Debit Card, the amount is rounded up to the nearest dollar amount and the difference is transferred into a special Savings Account. It’s perfect for those who find saving money a challenge! No matter which of our great checking accounts you choose, Simplified Checking or Save the Change Checking, you can enroll in our debit card reward program, CardCash™, and earn up to 1%* cash back on all qualified non-PIN debit card transactions. If you’re already enrolled in the program access your account. 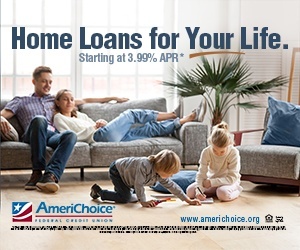 Introducing Benefits Plus, AmeriChoice’s exclusive member-only program designed to save you money! This program partners with local businesses to offer incredible discounts on everyday goods and services, as well as benefits like identity theft protection and travel concierge assistance. When you add Benefits Plus to your checking account, you will open the door to savings at over 600 business partners for only $5.95 a month! Learn more about Benefits Plus. No fees, no minimum balance, and cash back rewards make our standard checking account feel exclusive. A checking account built for those who find saving difficult. 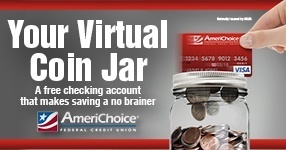 FREE online check images – View your cleared checks from Home Banking! FREE e-Statements – Go Green! You can review, print, or save your statement any time of the month! 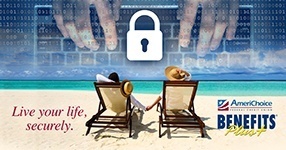 FREE Home Banking – Access your account 24 hours a day, 7 days a week! FREE Electronic Bill Payment** – Save a stamp and schedule recurring or one time bills to be automatically deducted from your checking account! *An activated AmeriChoice Federal Credit Union debit card AND enrollment in CardCash™ are required in order to earn cash back. There is no cost to enroll in CardCash™. After enrollment, qualifying non-PIN debit card purchases are used to determine monthly cash back. Terms and conditions apply. **$7.50 monthly charge if you do not pay a minimum of one bill every two months via this service. Must meet membership eligibility requirements. Please see Member Rewards for additional details on membership eligibility.